The discovery of what appears to be a Bronze Age cremation pit under the centre of Cupar has been hailed as an archaeological find of national importance. Cremated bone was uncovered during the final day of a community excavation at East Moat Hill involving volunteers and experts. The remains were radiocarbon dated and found to be 4,000 years old. There is already evidence that the area was a place of medieval assembly, where open-air councils were held and justice dispensed, until the 15th Century but the findings have revealed its earlier significance. 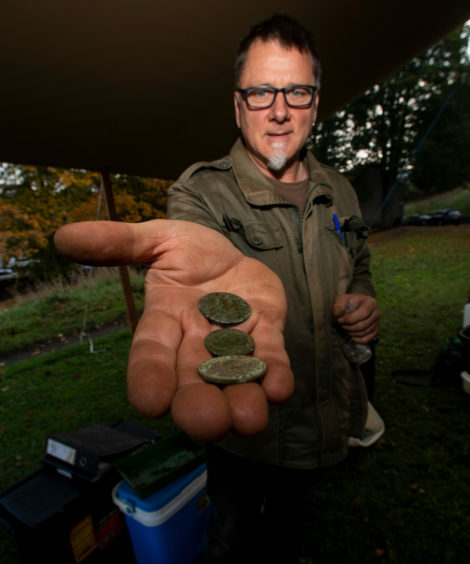 Coins, metal objects, a gunflint and a .303 cartridge were among other discoveries from the 17th to 20th centuries made during the dig in October. It was performed as part of the Cupar Conservation Area Regeneration Scheme and Townscape Heritage Initiative. Alastair Rees of ARCHAS Archaeology said: “The very last day of the excavation revealed some interesting deposits on the summit of the hill. “A large, deep pit was revealed and a small investigative trench was excavated into this feature. He said his team was able to extract a small sample of the cremated bone which has been radiocarbon dated to approximately 1750BC, roughly the transition from the Early to the Middle Bronze Age, nearly 4,000 years ago. 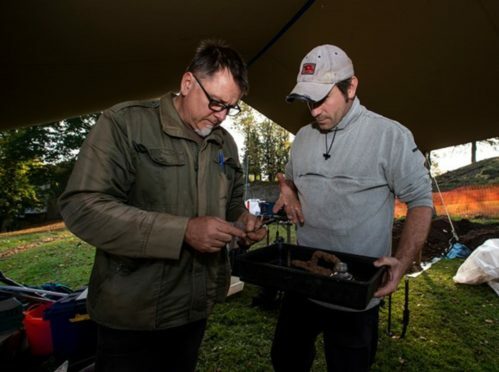 “Although only a small part of this large feature was investigated it is very likely that what was revealed is a Bronze Age cremation pit in the centre of Cupar,” he said.